The UK hospital which carried out testing on an Irish woman for cancer gene BRCA1 said the woman tested positive for the gene - and they passed on this information to her doctors in Crumlin. The woman - who now has advanced ovarian cancer - was tested for the gene in 2009. However, doctors at Crumlin told her she had tested negative for the gene, contrary to what the UK hospital had said. People found with the BRCA1 gene are more susceptible to developing cancer. A number of women who are told they have the gene opt to undergo precautionary mastectomy and hysterectomy, in a bid to increase their odds against developing cancer. Actress Angelina Jolie and singer Michelle Heaton underwent such procedures when they were told they had the gene. The Sunday Times Irish edition reported that the woman attended the genetics department at Our Lady's Hospital for Sick Children in Crumlin in 2009. She underwent genetic testing, with samples sent to a hospital in the UK. She was told in January 2010 that she had tested negative for the gene. However, it's understood the UK hospital told Crumlin that the woman had tested positive for the gene. It is believed the woman was informed just last month about the correct result. In a statement issued to Independent.ie, Crumlin Children's Hospital apologise to the woman, and stress that this was a one-off mistake. They have assured other patients who have undergone testing that this was not "a testing error" and there is "no cause for concern and distress". "The Children's Hospital Group apologises to the woman at the centre of this transcription error and regrets the series of events that led to her current difficult situation. "All facts in this incident currently point to the fact that a transcription error of a genetic test result occurred. This is currently considered to be an isolated incident caused by human error. This fact has been communicated to the woman involved through her treating clinician. 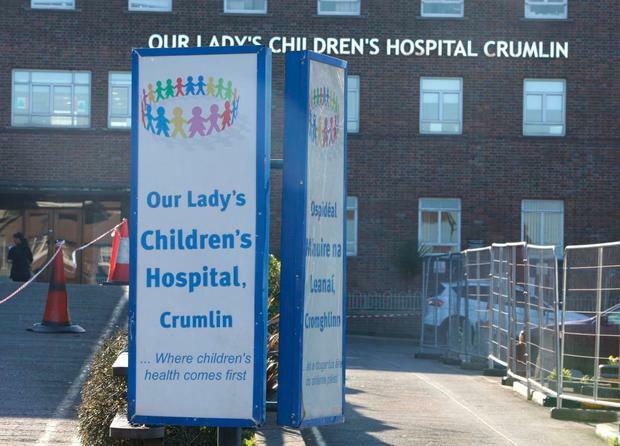 "As a precautionary measure, a review by Our Lady's Children's Hospital, Crumlin is currently underway of all transcriptions of BRACA tests to ensure tests results were transcribed correctly and that no similar transcription error has occurred. "We want to offer reassurance to other patients who have undergone testing that this is not a testing error and therefore there is no cause for concern or distress." It's understood the woman is now being represented by well-known solicitor Caoimhe Haughey, who specialises in medical negligence cases. Ms Haughey said the woman at the centre of the case wants answers and "personal accountability". "She wants answers and above all personal accountability - why did this happen to her and explanation as to how? " Ms Haughey said. "A letter has been sent by Professor Andrew Green to one of her treating oncologists acknowledging the mistake together with confirmation the matter has been reported to the Clinical Risk Department of the hospital and an internal review shall be conducted. "However not one person from the hospital has contacted this lady to-date adding insult to injury. "This lady also wants to send out a very sincere and important message to other women and families who have undergone genetic testing at the hospital over the last 10 years and that is to contact your doctor and demand a full review of your chart immediately," Ms Haughey added.